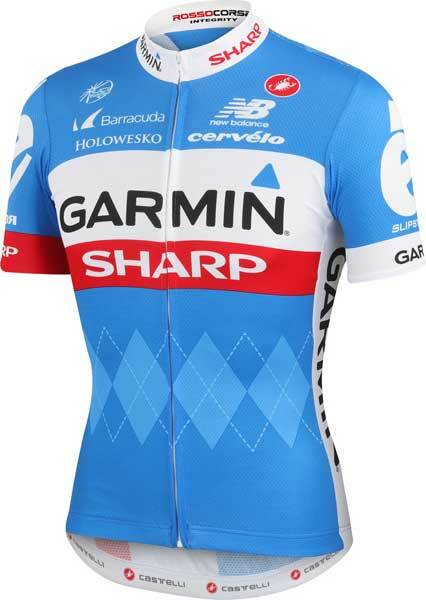 Garmin-Sharp has unveiled its 2014 team kit, and a new collaboration with wildlife charity WWF. 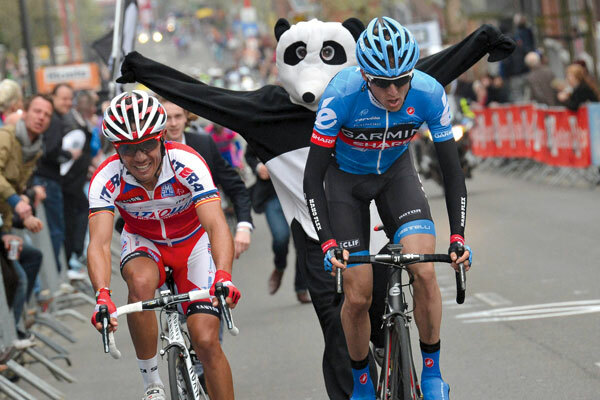 Who knew, when Garmin-Sharp rider Daniel Martin was chased during Liege-Bastogne-Liege by a man in a panda suit that the team would end up with a panda on its 2014 race kit? Of course, Martin went on to win LBL, and the panda has become Martin and the team’s unofficial mascot – so why not make the association official? “We are honoured to partner with WWF and help its critical mission of creating a future where people live in harmony with nature,” said Jonathan Vaughters, CEO of Slipstream Sports and Team Garmin-Sharp. 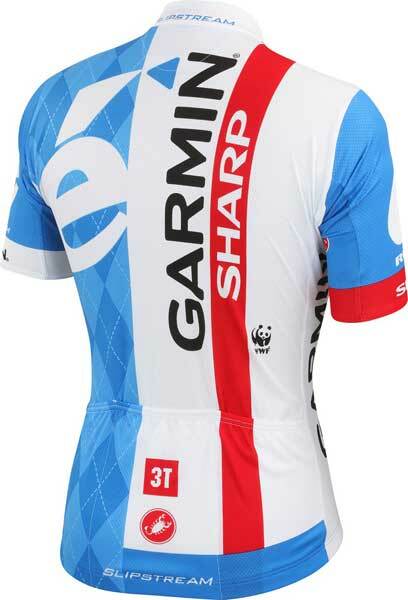 In addition to the WWF panda on the back of the 2014 Garmin-Sharp team kit made by Castelli, the team’s attire sticks with its tried-and-tested blue, red and white argyle theme. The back of the jersey has been reworked to include broad stripes running down the back, from neck to waist, which the team says will be more distinctive for those race helicopter shots. The distinctive é of bike sponsor Cervélo once again appears on the shoulders, and the team’s off-bike footwear sponsor New Balance now appears on the front of the jersey. Garmin-Sharp will make its 2014 WorldTour debut at the Tour Down Under in Australia from January 21.